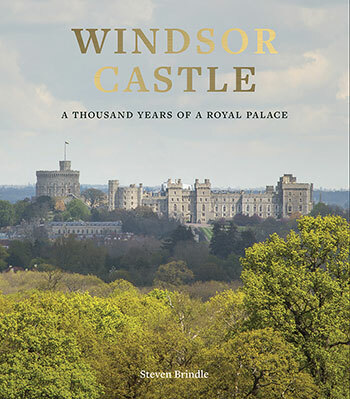 In May 2016, The Royal Collection Trust commissioned me to produce a series of high-detail visual reconstructions of Windsor Castle for their new publication "Windsor Castle - A Thousand Years of a Royal Palace". My reconstructions help to bring the first few hundred years of the castle's history to life from the time it was founded during the reign of William the Conqueror, to the Tudor period and the reign of Henry VIII. These illustrations are guided and inspired by the meticulous historical research of Dr. Steven Brindle who is the principal author and editor of this magnificent book. The book, launched on 24th April 2018, features three exterior and four interior full-colour reconstructions. Taking almost nine months to accomplish, these are among the most detailed illustrations I have ever produced and were a tremendous joy to work on. The book can be purchased from most major book stores and via the Royal Collection Shop. Windsor Castle - A Thousand Years of a Royal Palace.